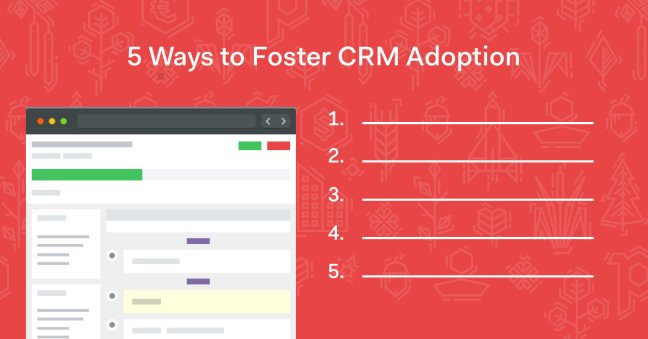 When you present a new CRM system to a sales team without a solid adoption plan, you’re throwing your car keys at a 15-year-old and hoping for the best. Sure, you know the CRM you’ve chosen is an amazing tool that will help deals from getting overlooked and assist your team in focusing their energy. But your team may be a little suspicious, so handling the introduction with care really matters. The best tool in the world is pointless if no one uses it — or worse, use it as little as possible and with a bad attitude. If consistent CRM use is your goal, start on the right foot. Take a few key steps during the introduction process to avoid adoption issues. Certain CRMs may have extra features that add complexity and cost to something that should be seamless and simple to use. It’s all about matching the specific requirements of your organization to the right tool. If your team knows you’ve taken into account their feedback and needs during the selection process, adoption won’t be a big hurdle. No one likes busy work. 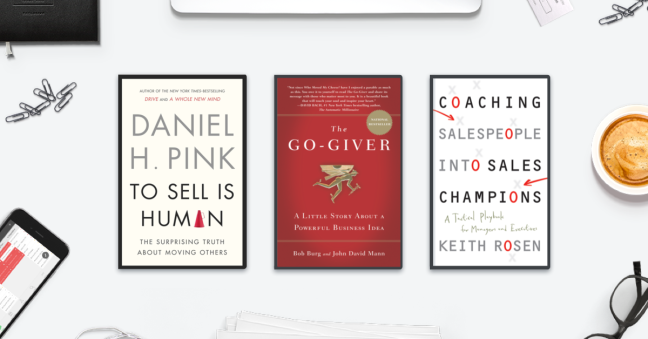 Sales professionals are driven by their desire to help others and make good deals happen. If you make it clear how the CRM does both — by cutting down on chores, not creating more — your team will get onboard. Sales professionals understand that their industry is becoming increasingly more data-driven. The more data you can collect about your prospects and customers, the better your ability to optimize your sales performance. Ben Landers, president and CEO of Blue Corona, a four-time Inc. 5000 online marketing company, points out that data-driven companies dominate the current business landscape, and this trend is only accelerating. “I recommend sales managers invest the appropriate amount of time and resources to explain the ‘why’ of a robust CRM to their sales team,” he says. Sales professionals know that their prospects need to see numbers and data. The right CRM helps keep complex numbers at the sales professional’s fingertips. Sales managers must lead by example. Tying the sales performance review process — and even compensation — to the CRM is a great way to get adoption. Trying to operate outside of it becomes more work than the alternative. But the process of switching requires leadership and patience — and that comes from the top. “If your team knows you don’t use the CRM you keep telling them to use, they’re not going to use it,” says Ryan Hulland, president and founder of Netfloor USA Access Flooring in Charlotte, North Carolina. Start by integrating your CRM into the beginning of your existing sales pipeline, by using it to qualify leads and set goals. It can feel like a mistake to take even a day away from revenue-generating activities to train your team on a CRM — but it’s time well-spent in the long run. Involve key members of your sales team in the implementation and training process and don’t rush through it. Over-communicate how the system should be used. Run the traps-check on a continual basis to make sure your team is using the system. Publicly acknowledge those leading the charge. A CRM without users is just a toolbox in a locked garage — it needs people. The partnership between sales professionals and useful technology creates powerful and consistent results. By minimizing angst during the adoption process, your bottom line will benefit. If you liked this post, check out Sales Pipeline Academy. You’ll receive 11 actionable emails over two weeks to improve your next sales cycle and increase your close rate. What are you waiting for?